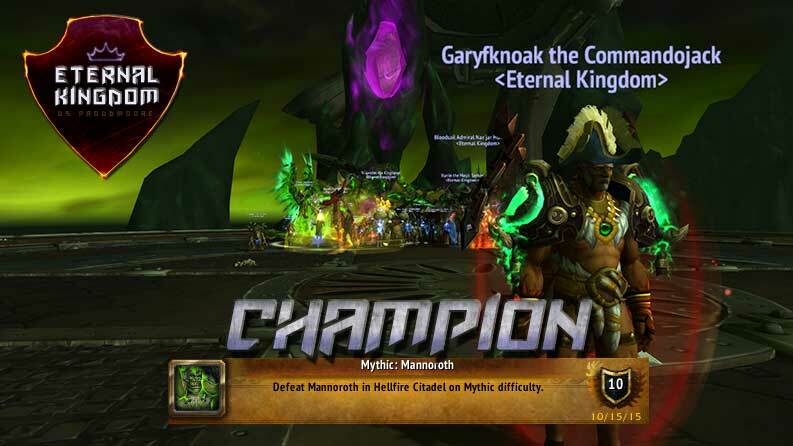 On December 4th 2013 EK held their first 25M raid with a goal of hitting top 100 US! Please join us on December 4th (Friday) at 9:00PM PST to celebrate our past two years and reaching our top 100US goal. Please make sure to be on time we are going to start with getting an all guild picture at 9 don’t miss it! The guild picture will be followed by the unveiling of EK phase 2. That is right we are going bigger and better for legion! After we reveal phase 2 we are going to have a guild game where you can win up to 50K gold! So come for the fun and fellowship! If you aren’t in the guild but are interested and want to listen in on what we have going on make sure to ask someone for our mumble. 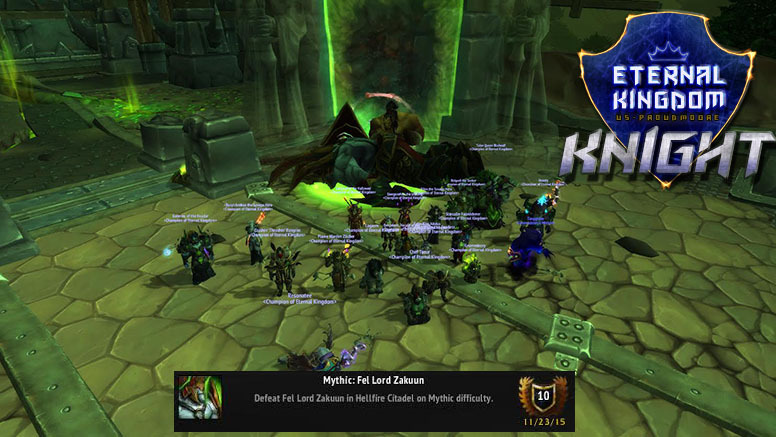 Knight Team Defeats Fel Lord! 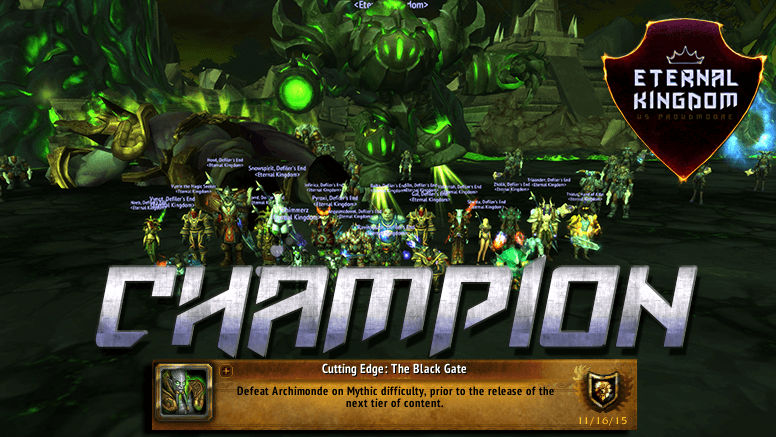 13/13 Mythic Archimonde US 68th Champion Team! 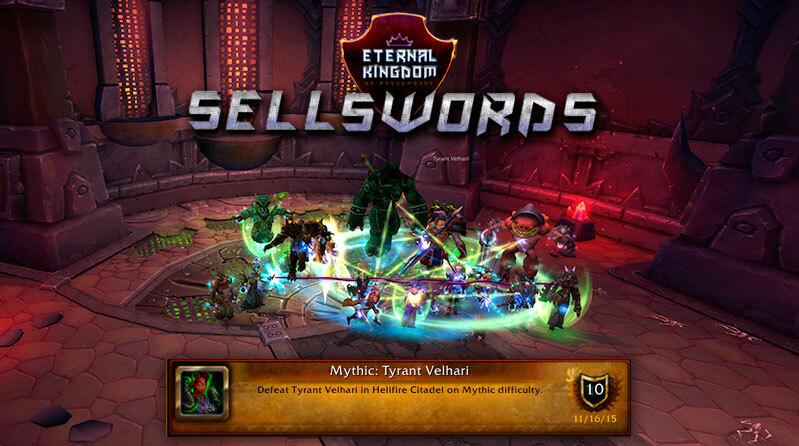 Sellswords Downs Tyrant! 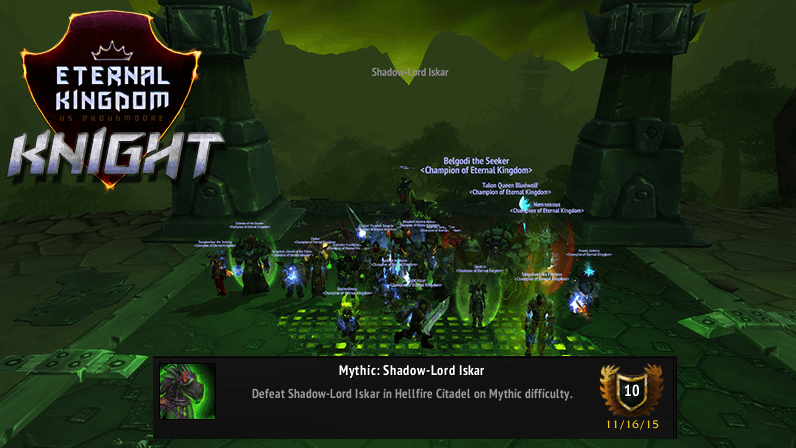 11/13 Mythic! Just One More Boss Team!!! 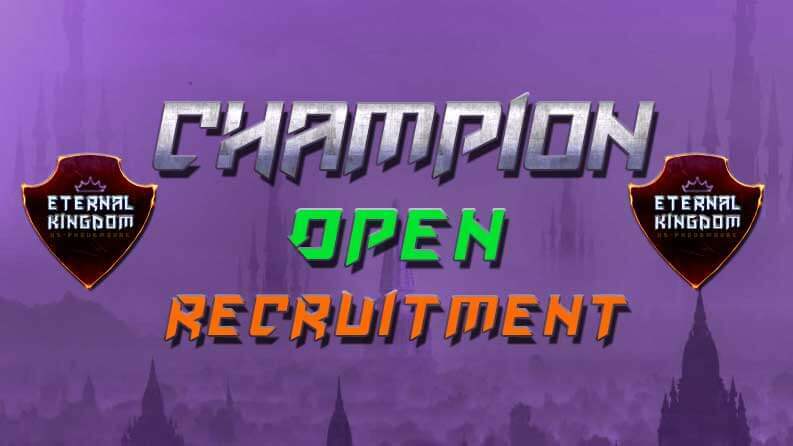 The Champion Team has officially opened recruitment 100%. All classes will be given a trial if they have the above criteria however. If you perform better than a current member, you will own their spot. Contact Balto via Balto#1148 on btag and/or submit an application on the forums. 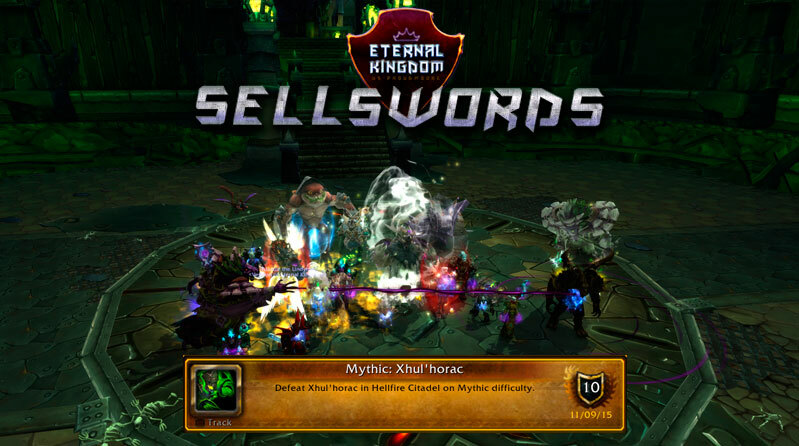 If you believe you are an exceptional player and you have not done mythic yet this tier, if you can prove the same in heroic, while parsing exceptionally high, we will consider you as well, but, you will only be in on farm bosses/assisting other teams in mythic until you are adequetly geared.